The Benchmark Litigation list of 2017 North Carolina State “Future Stars” reflects those partners consistently referenced by peers and clients as litigators who are likely to be become “Litigation Stars” in coming editions of the publication. This year, Jackson Moore is included as a 2017 “Future Star” in North Carolina. After more than 100 years of law practice, Smith Anderson is the largest law firm headquartered in North Carolina’s Research Triangle area and one of the largest firms in the State. Known for trial-tested lawyers who combine their extensive courtroom experience with practical business judgment, Smith Anderson litigators have represented clients in cases at every level of the judicial system, in North Carolina and jurisdictions around the country. In addition to Benchmark Litigation, Smith Anderson’s Litigation practice group and many of its lawyers are recognized in Chambers USA, “Best Law Firms,” The Best Lawyers in America© and North Carolina Super Lawyers. 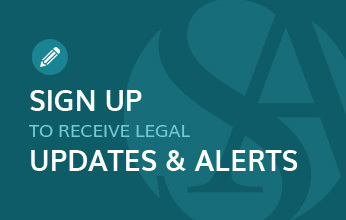 For more information, visit www.SmithLaw.com. Benchmark Litigation focuses exclusively on U.S. litigation. The publication’s results stem from the culmination of a six-month research period where its researchers conduct extensive interviews with litigators and their clients to identify the leading litigators and firms. During these interviews, researchers examine recent casework handled by law firms and ask individual litigators to offer their professional opinions on peers. Law firms cannot pay to be recommended for the guide. Recommendations are based on interviews with private practice lawyers and in-house counsel. For more information, visit www.benchmarklitigation.com.